Nelle Potts Tribble, 95, of Chattanooga, passed away on Sunday, October 28, 2018. 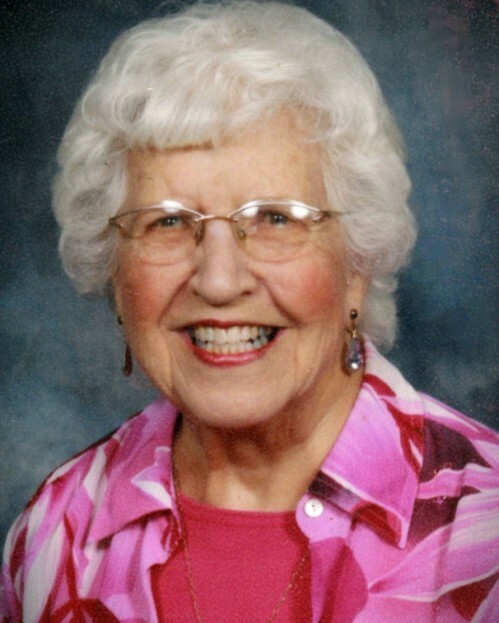 She was a longtime member of Oakwood Baptist Church, loved cooking for others, and collecting all types of sea shells while travelling with her husband, Jimmy. Nelle was preceded in death by her parents, Thomas & Mary Potts, loving husband, James W. “Jimmy” Tribble; brother, Raymond Potts; sisters, Marguerite Rash and Aileen Brown. Left to cherish her memory are her daughter, Lynette Goin of Chattanooga, TN; grandchildren, Greg (April) Goin of Ringgold, GA, Alan (Lee Ann) Goin of Suwanee, GA, Jamie Goin (Bob) Moates of Ooltewah, TN; 2 great-grandchildren; 1 niece and 2 nephews. Funeral services will be held at 1:00 PM on Thursday, November 1, 2018 in the chapel of Heritage Funeral Home with Rev. Kenneth Clark officiating. Interment will follow in Greenwood Cemetery. In lieu of flowers, please donate to: Transformation Project Inc. – P.O. Box 22908, Chattanooga, TN 37422. Visitation will be from 11:00 AM Until 1:00 PM on Thursday. Arrangements entrusted to Heritage Funeral Home, 7454 E. Brainerd Rd.